Bahrain is a country made up of an archipelago of 30 islands. Since the times of antiquity, Bahrain has been the crossroads for major trade routes, a feature it worked upon due to its strategic location within the Arabian Gulf. Bahrain enjoys a strategic location among the crossroads of trade routes, with the Kingdom of Saudi to its east and Qatar to its north. The economy of Bahrain is fuelled with the resulting synergy of being places between the coasts of these two nations. 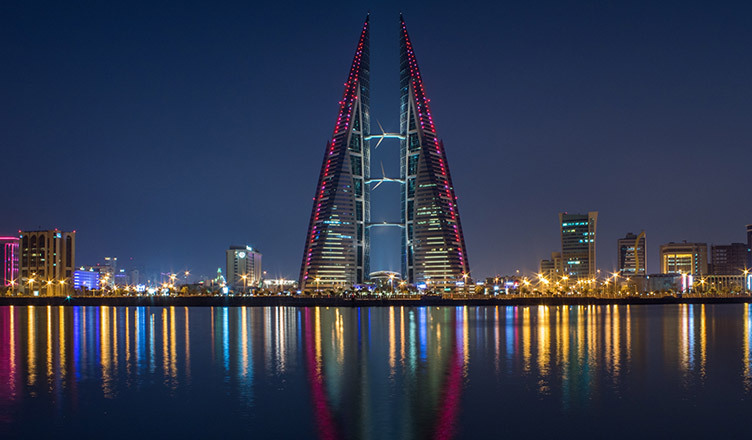 Over the course of a decade, Bahrain focused much of its efforts in leashing on to its economy and the ever-changing business environment to harbor economic growth. In 2019, Bahrain began harvesting the yield garnered through its various economic efforts launched in 2018. Here are the 5 most beneficial business opportunities in Bahrain in 2019. Towards the end of 2018, the banking sector in Bahrain saw immense prosperity; something, without doubt, shall be carried onto 2019. The immensely developed and diverse system of banking established in Bahrain takes away 17.2% of the GDP. The banking sector comprises a bouquet of traditional banks and Islamic banks, providing the nation with a variety of financial services such as retail and wholesale banks, specialized banks, insurance companies, finance companies, investment advisors, money changers, insurance brokers, securities brokers, and mutual funds. Bahrain has emerged as a banking hub for the Middle-East, especially since the emergence of Islamic Banking. As far as the Middle East goes, Bahrain is the fastest growing financial hub. The Construction Sector in Bahrain is stronger than ever due to the ever-increasing investment into infrastructure and inflows of capital to industrial growth. Towards the end of 2018, when the nation faced a drop in oil and gas industry due to falling prices, the construction industry cushioned this fall by obstructing a 14.7% contraction. Carrying on to 2019, setting up a construction company in Bahrain has surfaced as an excellent business idea. Additionally, construction makes up a pretty impressive chunk of the GDP, a solid 7.5% of the total economic activity. The Construction industry is a major contributor to the GDP of Bahrain, a nation which predominately relies on its extensive cultivation of natural gases. Therefore, the construction sector has made it on this list. As the population keeps increases, so does the demand for property and spaces. The Real Estate industry is an area in which investors can hardly ever go wrong. In Bahrain, the Real Estate industry is a fairly sustainable market with a considerable inclination and an alluring potentiality for high returns. By tapping into Real Estate, investors can access a newer and a significantly wider market catering to a diverse assortment of prospects. The long list of potential clients includes home seekers, young professionals and of course ever-growing families and households. Real Estate in Bahrain has boomed after tourism picked up the pace and the growing need for space and property. In 2019, Real Estate is very likely to garner a great deal of investment. Towards the very end of 2018 and the dawn of 2019, Bahrain experienced an inclination in demand within the hospitality and tourism sectors. In fact, the entirety of the GCC hospitality industry is expected to pick up the tempo and positive growth after its hiatus due to the falling of oil prices. In 2019, with the recovery of oil prices and a growth in industries not dependent on extracting oil, Bahrain is at the footfall of a brand new chapter of economic prosperity in the embodiment of the hospitality sector. With upcoming mega-events, increase in tourist traffic, regulatory initiatives and pinpoint government efforts towards the hospitality and tourism sector, the hospitality sector has never been this productive. During Islamic holidays, Bahrain welcomes the entry of an abundant volume of tourists, especially from neighboring countries such as Saudi Arabia and Qatar. By 2020, the tourism sector is projected to be worth USD1 Billion, therefore investing now will be an extremely proactive move. Many of the business opportunities in Bahrain are interlinked. The retailing industry, for example, saw a boom in 2018 and continues to grow at a rapid pace due to many contributing factors. The rate at which Tourism is growing in Bahrain, the rise in infrastructure projects, capacity to accommodate visitors topped by low costs of living naturally created a scope for more retail stores. Thus, retailing has undergone unprecedented growth and is showing no signs of slowing down, making it a highly profitable industry for setting up a business. Not only has Bahrain's economy been identified as a modern economy, but it is also pillared by plentiful international and offshore businesses based in Bahrain. Through herculean efforts, Bahrain could successfully rejuvenate its economy despite the fall in oil prices. It pumped on other industries within its economy and has emerged as a lucrative to start a business. Business Setup Worldwide is a global consultancy company which will assist you in setting up a business in Bahrain backed by updated information and high-end knowledge on the latest business trends and changes in the business environment. From company incorporation to corporate secretary services, we've got the know-how through our highly competent Advisors. To know more, contact us, we'd be happy to help!